Norsk Hydro, one of the world's largest producers of aluminium, today battled to contain a cyber attack which hit parts of its production, sending its shares lower and aluminium prices higher. 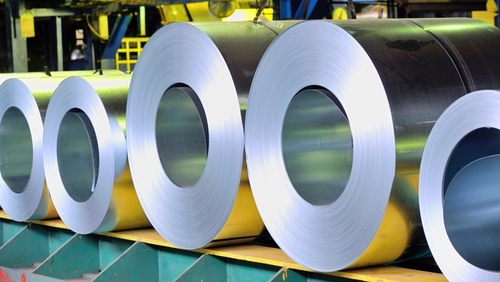 The company shut several metal extrusion plants, which transform aluminium ingots into components for car makers, builders and other industries. Its giant smelters in countries including Norway, Qatar and Brazil were also being operated manually. The attack began yesterday evening and escalated overnight, hitting Hydro's IT systems for most of its activities and forcing staff to issue updates via social media. Citing a message sent by the NNSA, public broadcaster NRK said on its website hackers had demanded ransom money from Hydro to stop the attack, but the company has not confirmed this. The malware is not widely used by cyber crime groups, researchers said, but has been linked to an attack on French engineering consultancy Altran Technologies in January. News of the attack pushed aluminium prices up 1.2% to a three-month high of $1,944 a tonne on the London Metal Exchange, before giving up some gains to trade at $1,938 this afternoon. The event was a rare case of an attack on industrial operations in Norway. The last publicly acknowledged cyber attack in the Nordic country was on software firm Visma, when hackers allegedly working on behalf of Chinese intelligence breached its network to steal secrets from its clients. In 2017, hackers later accused by the US of working for the North Korean government unleashed billions of dollars worth of damage with the Wannacry ransomware virus, which crippled hospital, banks and other companies worldwide. Norsk Hydro's main website page was unavailable today, although some of the web pages belonging to subsidiaries could still be accessed.